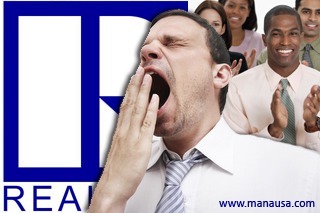 As another month works its way to the end, I find myself drawn to the NAR to observe the next slight-of-hand trick that usually accompanies their Pending Home Sales Reports. For those readers who have not followed our scrutiny of previous pending home sales reports, you might find my analysis a little a bit confusing. After all, I'm a REALTOR® and a member of the National Association of REALTORS, so why am I picking apart another one of their reports? This month, NAR reported that the trend of improving pending home sales reports has grown to 18 consecutive months. That is not the case in the Tallahassee real estate market, where our year over year pending home sales reports has climbed just 8 straight months. As we have reported in the past, the ratio of closings to new contracts is only 37%, so I believe the growing number of distressed properties in the market is bringing about more contracts, without necessarily increasing the number of closings. Nevertheless, there have been 8 straight year over year gains in our pending home sales reports, and this has to be deemed good news if it continues. 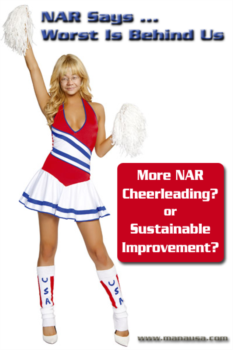 As another post in my stream of "NAR needs to change its practices" posts, I want to critique the not-unusual conclusion of the NAR report. Lower inventory is not low inventory (ever heard of the shadow inventory? ), and rising average sales prices is not the same as rising values (see related article "Do You Understand The Difference Between Average Home Price And Value?"). Prudent home sellers and home buyers should find a local real estate expert and be very wary of real estate reports that were produced from the work of the National Association of REALTORS. Take your real estate advice from somebody who plans to be in business for many years to come! 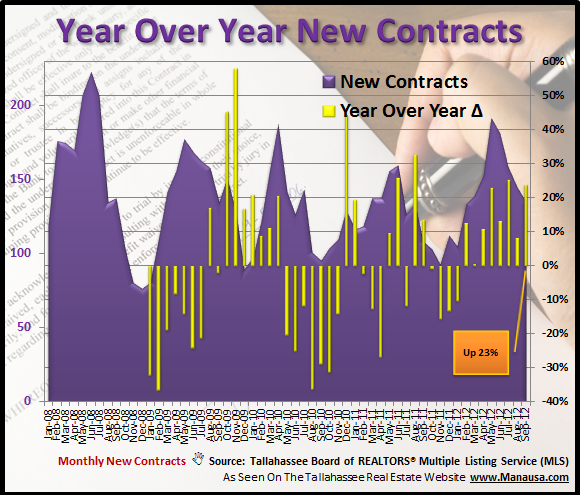 And if you want to know more about how recent pending home sales reports relate to your ability to sell a home in Tallahassee, just drop me a note and we can schedule a time to discuss your specific real estate needs. New Pending Home Sales Index Released - Cheer, Spin Or Real Improvement?